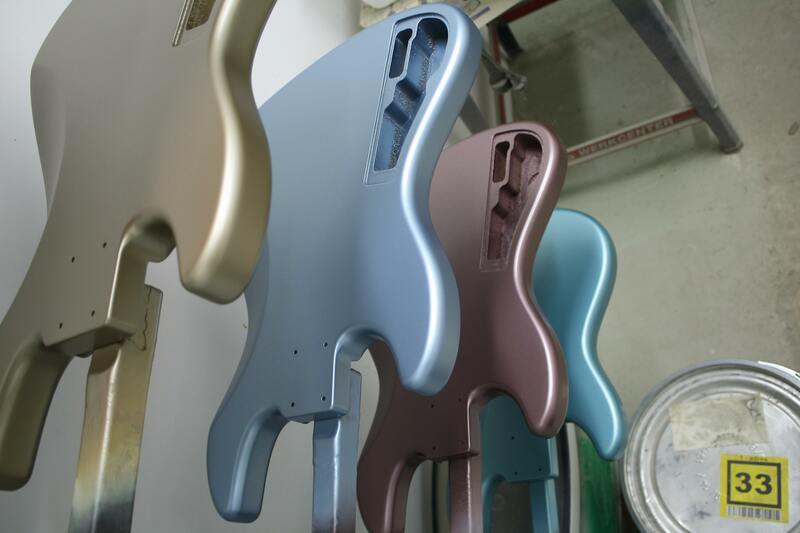 At the moment I am working on 8 basses for our stocklist. 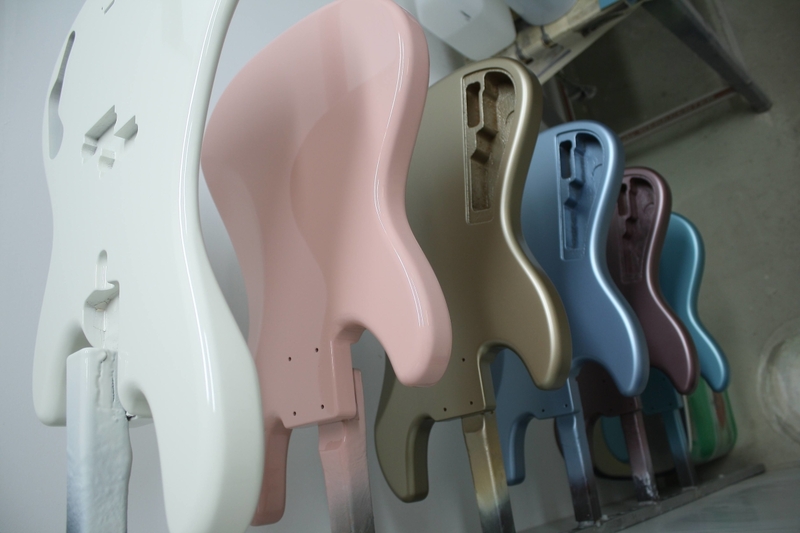 As I started one of them got ordered and 2 of them reserved, but at least I’ll have 5 new basses for sale in a few weeks. 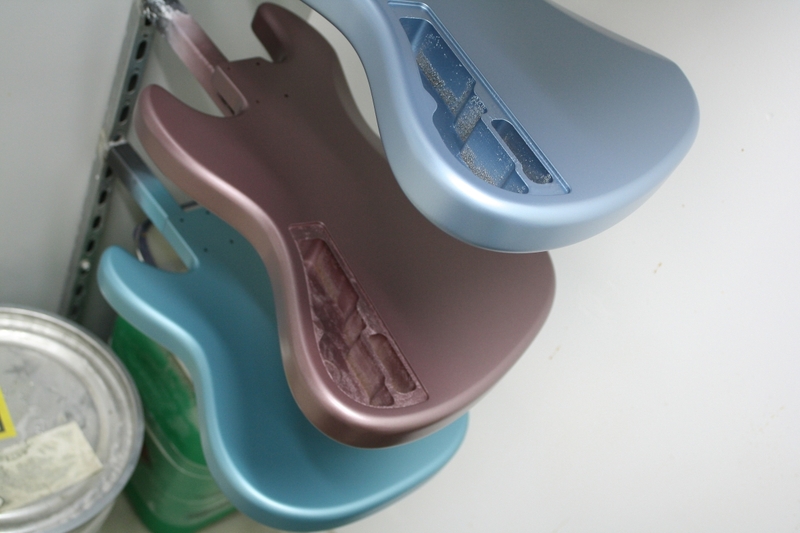 Here’s a picture of some of the colours I have sprayed. Olympic white, shell pink, pharaoh gold, ice blue, burgundy mist, teal green. And the other 2 will be 60’s sunburst. If you’re interested in one of these, keep an eye on our ‘Ordering’ page, where you find our stocklist. After that I am booked till summer with orders.